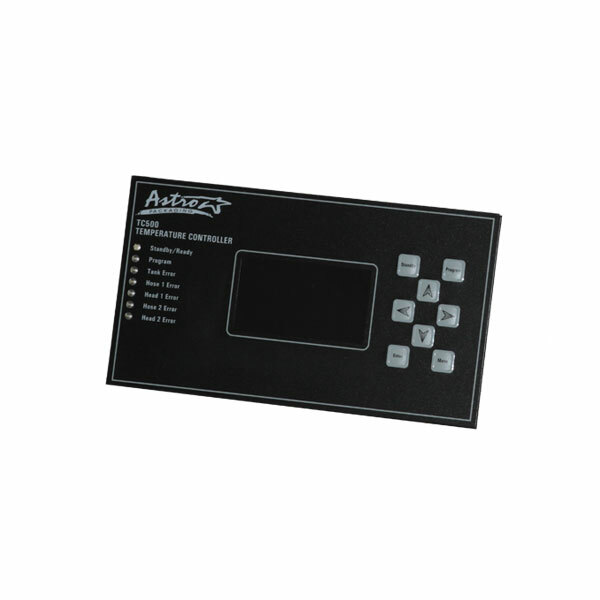 The TC500 is a powerful and simple-to-use controller for multiple hot melt units. The TC500 is great for operating lines that want the ability to automate their machine's run time. 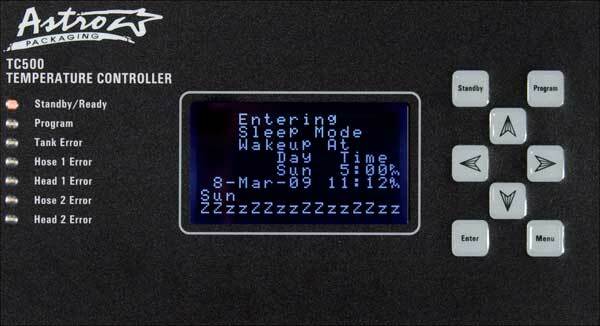 With the TC500 you can use the clock calendar to set wake-up and sleep times that will turn your machine off when not in production, and automatically turn back on for when you are. This will increase the hot melt unit's lifetime with less wear and tear on the machine and drastically reduce service and maintenance costs. All temperature zones displayed on one screen.